No doubt that they play a critical role in our daily lives, from sunrise to sunset, so learning how to take our of ears should be given attention just as much as brushing our teeth or caring for our eyes and so forth. The great part is that taking care of them is not as demanding, however, doing so, will keep you on top of good hearing health and hygiene. There are so many insults which our ears can be subjected to on a daily basis. Here are just a couple of things that affect your hearing and cause some ear trouble. Ear blockages, e.g. foreign objects, insects, etc.. Here are some interesting facts on the “gooey-waxy” substance that gets built up in our ears. It consists of secretions from the sweat glands and fatty materials as well as hair and dirt, from the outer ear. What is the function of earwax? The earwax helps to cleanse and allow for lubrication within the ear. Not only does it protect the skin of the ear canal but it also serves to protect against the bacteria, fungi, insects and even water that may enter the ear. So, it very much serves a similar purpose to what our nose hairs does, to prevent foreign matter from entering our nasal passages!! How to take care of your ears when there is an excessive wax accumulation? Please note that even though you may get large amounts of wax produced in the ear, it may still not cause any symptoms. So there is no need to get alarmed at all. When I visited my E.N.T, I asked him, “How often should one clean their ears?” His answer : Never. By nature the ears are self-cleaning. As I mentioned the wax is actually secreted by the outer part of the ear canal. Without any “active” cleansing, and with time, the old wax should move to the exit area of the ear which can be simply wiped with a cloth after a shower. Is it safe for me to use cotton ear-buds to remove the earwax? This is a definite no-no. You should not attempt earwax removal at home with cotton swabs, bobby pins or pencils. Cause they are the culprits!!! 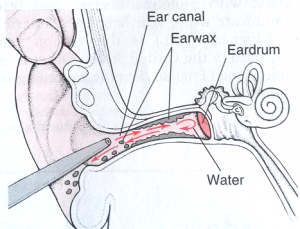 Yes, they push the wax more further into the canal and can go as far as causing damage to the ear-drum. What about the use of ear-candles? What is the hype on “ear-candles.”? If you punch ear candles into Google, you will pull up around 670 000!!! search results. Wow!!! does ear candling or coning really work? They are hollow cones made of cloth that are soaked into beeswax or paraffin. This funnel is placed with one end into the ear and the other end is ignited with a flame. It is claimed that while the flame is burning oxygen is drawn from the flame and this produces a vacuum that literally pulls out any residue from within the ear. This technique is said to have helped for not only the removal of earwax, but the relief of sinus build-up, allergies and TMJ, hearing loss treatment, improvement of sense of smell and taste. But does it actually work? According to the American Academy of Audiology, ear candling which is also called Thermal-Auricular Theraphy, showed NO benefit or effectiveness and can cause serious injury. What is also so scary is that some ear candles are marketed safe for use in children (or babies), which puts them at risk too. When should you worry about earwax problems? If you start feeling some of the symptoms below as a result of excessive earwax, then it is a good idea to get it checked out by a doctor, or a hearing health professional. If however, you usually have ear wax build-up, and know your ears quite well, then there are general and safe ear wax removal strategies you can implement at home. There are softening agents that you can use to get rid of the excessive ear-wax. Things like, sweet oil. Place a few drops of these once a week into the ear. 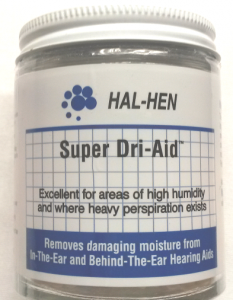 Various commercial ear drops are available such as Dibrox or Murine which will do the trick as well. These are saline containing ear wax removal systems. I would recommend choosing one that has been approved by an ENT. Safe for kids over 5years and up. Home irrigation should not be done if a person has a perforated eardrum. The reason is that water can enter the middle ear and cause complications. Irrigation is also not to be done if there is any discharge from the ear, because the discharge may be coming from the perforated ear-drum. In these instances, a doctor may remove the earwax with a blunt instrument with a loop at the end or a vacuum device. Exactly how does a doctor or a nurse perform an irrigation of your ear? The tip of a water-filled syringe is place just inside the ear canal, and a stream of warm water is gently directed into the ear canal to remove the ear wax. Check out the video demonstrating the Irrigation of the Ears. Courtesy of Stephen Bergs. I wear a hearing aid now to help me with my tinnitus and hearing. As I mentioned in my ‘About Me,‘ page I am completely deaf in my right ear, so to say that this device is my lifesaver is truly an understatement. For those of you who wear hearing aids, you might have already noticed the challenges of earwax build-up that comes with wearing them. I know I have. It is said the hearing aids, prevent the normal out flow of ear wax. Another theory is that there is an increase in gland secretion activity in the ear thereby an increase in wax build-up. There is a decrease in the overall effectiveness of the hearing aid. Before placing hearing aid in the ear, wash away any wax on the outer ear using soap and water and dry with a cloth. How to take care of your ears from loud noise? Plain and simple, try to avoid exposure as far as possible. Approximately, 1.1 Billion teenagers and young adults worldwide are at risk of noise-induced hearing loss as a result of unsafe use of audio devices. I understand that sometimes you can’t always avoid noisy environments especially if it’s your work place. Having said that, check that adequate hearing protection is available. Try not to listen to loud noise for more than two hours straight. If fact, I would recommend the 60/60 Rule. No more than 60% volume for no more than 60minutes. Make sure that the noise level does not exceed 85decibels. At concerts do not stand too close to loudspeakers. Rather make use of over the ear headphones rather than in the ear ones. I am a big fan of exercise. I love to do my Zumba Dance workout and P90X Fitness routines. Cardio exercise helps to keep the blood pumping and improve blood flow to all areas including the ears. This helps to keep the internal parts healthy and working to their maximum potential. Regular check ups. If you have constant ear wax build up, then I recommend scheduling appointments for your ear wax removal by your doctor every 6 to 12months. In addition, have your hearing tested as well. An audiology test should be done every 6 or 12months. Its no lie that stress is responsible for a ton of medical and health related conditions. Tinnitus for one, can be aggravated by stress levels and controlling this is the key to managing it. I find spending time in nature curbs the stress levels and does wonders for the mind and body. We learned about the importance of earwax, the benefit it offers and ways to prevent its build-up. You have also learned amount irrigation of the ear canal and the dangers of using ear buds and ear candles. 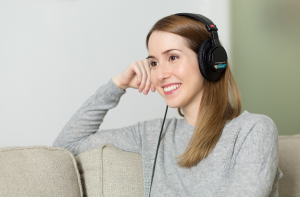 Whilst loud music is a big contributing factor to damaging your hearing capacity, there are various other things that can cause hearing problems. How to take care of your ears, by reducing stress levels, can prevent tinnitus from flaring up, either permanently or temporarily. Regular check ups, both for hearing and ear wax removal, will ensure that you are up to date on how well your ears are performing. Just like everything else we do, it is important to give our attention to the ears from time to time. Its better to know if something is wrong, now, rather than to find out later, when its too late and could have been prevented! Hope this article has helped you. Please share with your loved ones and friends so that everyone can take responsibility in taking care of their ears. 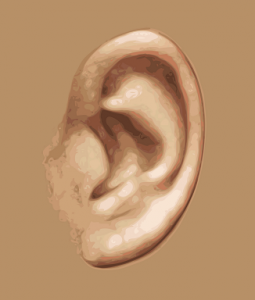 ← What is the Tinnitus Terminator? I remember hearing on the TV panel show QI that earwax is not actually wax. Anyway, what about earplugs? Is it okay to use earplugs? I nearly always sleep wearing earplugs so that I don’t get disturbed by sounds such as other people moving around the house. My ears seem fine, although they sometimes get itchy. 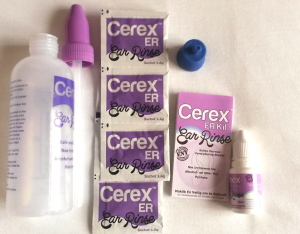 Years ago I used to ride a motorbike and wear earplugs while riding to protect my ears from the loud noise of riding, but I ended up with an ear infection and a blocked ear that needed to be syringed to clear it out. Personally I am not a fan of ear plugs. I have had one to many bad experiences with them and find them uncomfortable to say the least. I think if you are going to wear them, then make sure they are cleaned regularly and give time to allow your ears to naturally cleanse themselves of the wax. I have gained quite a bit of valuable knowledge from the information you provided here regarding ear cleaning. Who would have known that coloring contributes to de-stressing leading to relieving Tinnitus? This may be why this is a popular activity many children do in school as well at home. In addition, as a young child, my husbandâ€™s parents cleaned his ears by pouring peroxide in one ear as he leaned over the sink so that it drained out of the other ear. As an adult, he has not done this in several years, his hearing is normal, and he has had not issues with them. I have never done this, as it does not sound effective. Have you heard of this ear-cleaning practice? Glad to have assisted you with some valuable information. Yes coloring is gaining popularity amongst children and adults alike. Its actually quite fascinating how relaxing and therapeutic it can be not to mention de-stressing. As for the peroxide, I have heard of it and think that its does have some effectiveness on cleaning of the ears. Some people have reported it to have lessened their Tinnitus as well. I enjoyed reading your article about ear care. Would you agree that there is more focus on eye care? I’m thinking many people have regular eyesight tests, but I don’t hear of many having regular audiology tests. It is certainly good advice to look after your ears – after all, they are responsible for one of our five senses. I like your list of helpful cleaning tips, plus the point of avoiding over-exposure to loud noise. I agree that it’s a worrying factor for the youth of today. I am so focused on talking about the ear. I think one of the primary reasons, is that I have suffered a lot with my hearing and wish to educate more people about taking take of their ears. It got me thinking. It is necessary to take care of our overall general health, all the time. Not when its too late or when something goes wrong. I guess I learnt my lesson.